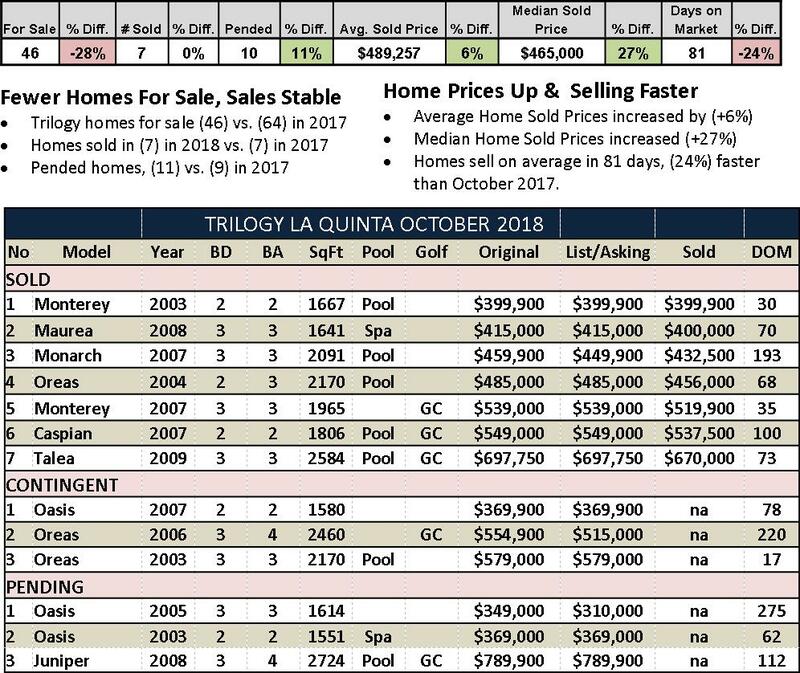 Less than 4% of Trilogy’s 1,238 homes were up for sale in October 2018, (46 vs. 64) last year. Although, year-over-year the same number of homes sold (7), home sold prices increased on average 6% over last October. Not surprising, homes sold faster….on average 81 days, 24% fewer than same month last year. 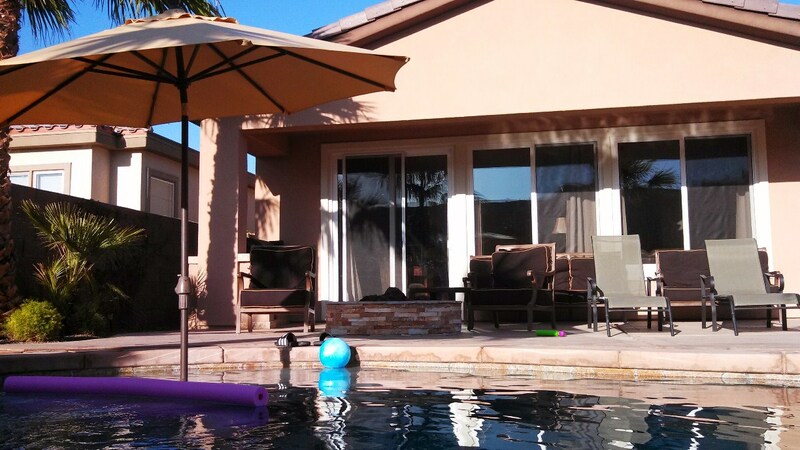 To sell or buy one of your own, call me for a personal tour and detailed information about the amazing beauty, lifestyle and value of Trilogy at La Quinta.